Parking lot: 30 vehicle parking lot featuring 22 disabled parking permit stalls. AllPlay Miracle Baseball League - a special non-competitive baseball league for children with special needs with over 400 players in 2018 on over 28 teams. Over 100 volunteers are needed each game day. Click here for more info. 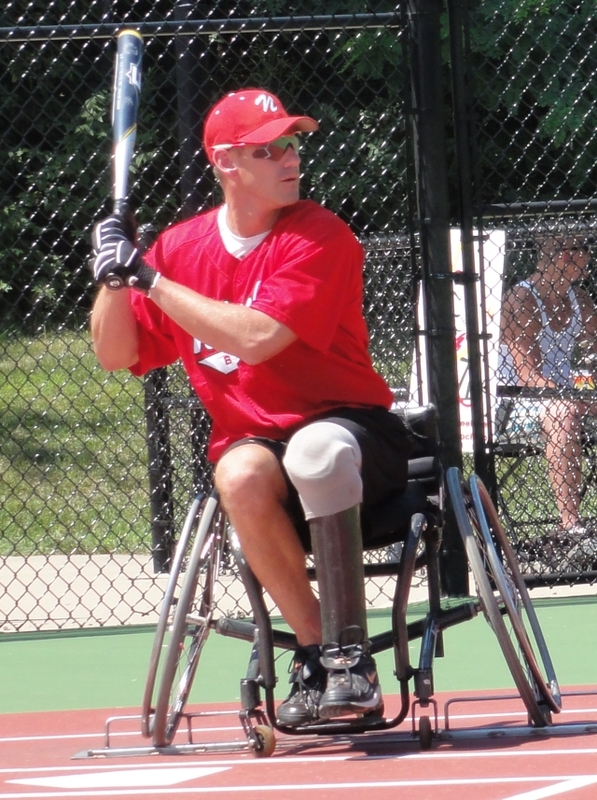 Nebraska Barons Wheelchair Softball Teams (adult and junior) nationally competitive wheelchair softball teams with multiple Wheelchair Softball World Series titles. Click here for more info. Many special events for organizations providing programs and services to people with special needs including: Children's Hospital, Special Olympics, Mosiac, VODEC, Ollie Webb, Monroe Meyer Institute, Boy Scouts, Girl Scouts, various school districts, ESU's, and more. The complex is also regularly used by local area schools, day cares, day camps, and is open daily for use by the general public. The complex can be reserved for private events. See "Rent AllPlay Complex" for complete info. AllPlay Foundation built AllPlay Complex in 2008, the finest barrier free sports and recreation complex in the nation. The $1.5 million dollar complex is located in Seymour Smith Park at 6802 Harrison Street, Omaha, Nebraska. The entire complex utilizes barrier free design concepts that allow people who have mobility impairments and other disabilities to fully enjoy sports and recreation. The complex is open to the public and free to use during Seymour Smith's park hours (5am - 11pm) daily, but certain features of the complex may be closed when reserved for programs, activities, and events for organizations that provide services for persons with disabilities. The complex can be reserved for private events. See "Rent AllPlay Complex" for complete info.